There is a consensus in business generally that when organisations have Corporate Social Responsibility (CSR) high on their agenda it will improve profitability. The question for many organisations, particularly those who are budget constrained, is how much effort needs to go into CSR in order to gain real benefits. Ron Robin’s ‘Does Corporate Social Responsibility Increase Profits?’ offers a fascinating insight into this topic. He states that even the smallest amount of positive CSR engagement can lead to increased corporate financial performance, however, the overall effect may not be as significant as businesses expect. In Q1 2015, RepTrak conducted a survey of the world’s top 100 customers. Based on seven different dimensions, the research revealed that companies who invest in a strong reputation do realise tangible business benefits and, in fact, its portfolio of top companies have actually outperformed the S&P 500 index since 2006. Furthermore, the survey showed that more than 40% of a company’s reputation is generated from three key CSR drivers: citizenship, governance and workplace. These are interesting statistics for me personally, as my first job was in the mid 90’s working for a global manufacturing organisation, during a time when CSR was definitely not one of highest business priorities. It was only after spending time in Australia from 2000 – 2009 that I started to recognise some of the benefits a robust CSR policy can bring to an organisation (Australia came 5th in KPMG’s 2013 survey of Corporate Social Responsibility of report quality by country). The business world was evolving, and from 2000 onwards I noticed a steady rise in large corporate organisations focusing on CSR as a key reporting measure. By the time I left Australia in 2009, every major company had introduced specific CSR policies, and the subject was even included as a study section in my MBA at that time. 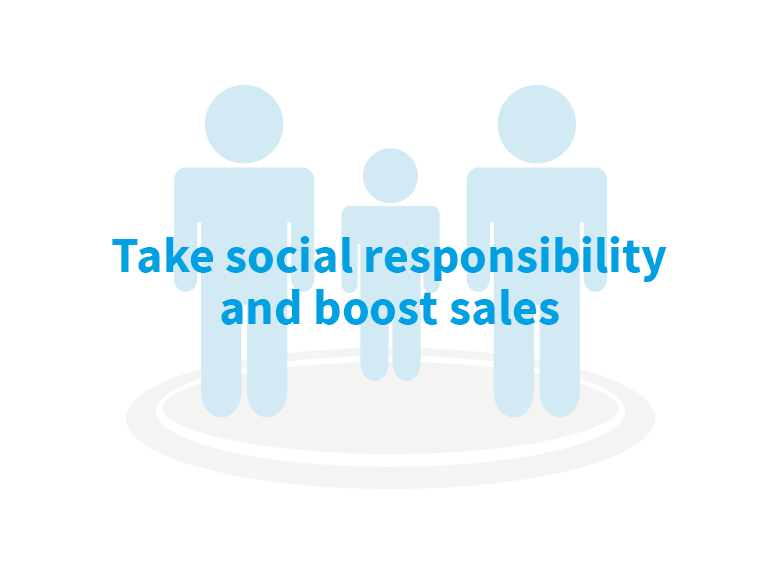 You may ask why a sales director is writing about corporate social responsibility. Many of the studies available, including the two cited above, focus on big, global companies but this doesn’t mean it is any less relevant to businesses operating in the mid-market. RepTrak’s three CSR drivers are all predominantly internal factors, and, if managed appropriately, can lead to higher levels of employee engagement and satisfaction. The correlation between improved engagement and satisfaction leading to a rise in productivity and profitability has been well documented, and in my role as sales director, I am interested in sharing with prospects and contacts every opportunity that could have a positively impact on profitability. The second reason for writing about CSR is how it relates to social media in today’s highly visible, digital world. Let me describe to you a real life example. As part of our CSR strategy at Pulsant, we work with several different charities, including Thrive. For three days this year our employees gave up their time to dig allotments, mend sheds and carry out a range of general gardening activities for the charity. During the Thrive event, pictures were tweeted, Facebook was updated regularly and those people who participated also shared their individual experiences on their own social networks, which was subsequently shared across much broader networks. As a result, Pulsant’s strong reputation as a managed hosting provider who really values its role in the community and the contribution it makes to charity has been affirmed. In addition, our employees feel better engaged with the organisation and feel an enormous sense of satisfaction derived from helping other people. From a sales perspective, many decision makers we interact with are actively engaged on social media. When those people search for Pulsant’s products and services on the internet and on social media, they will also see another side to the company that extends beyond our core business. People do not just buy from people any more, they want to purchase quality products and services from organisations they truly believe in. Pulsant’s employees will continue to engage in CSR activities, to build our reputation for the future. In addition to the major global studies, our company provides the proof needed that just one small, charitable act can lead to greater employee engagement and boost the organisation’s reputation in the external world.